The dampening characteristics of modern continuous dampening units depend on the surface of the dampening rollers and on their cleanliness. Especially in alcohol reduced printing, there is an increased build up of ink on the dampening rollers which desensitizes their surfaces reducing their hydrophilic nature. Bottcherin FR-1000 is a special wash for removal of ink build-up on dampening pan rollers or dampening metering rollers in continuous dampening systems. Depending on the degree of dirtying, the dampening rollers should be cleaned occasionally with Bottcherin FR-1000. 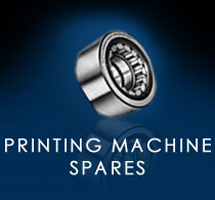 With the press stationary, apply Bottcherin FR-1000 with a cloth on the dampening rollers and wipe clean. Wear protective gloves during application. Follow all press safety procedures.